Deck or Fence Railing Planter that fits both 2x4, or 2x6 rails, Simply plant as desired and put it on your rail. No Need to damage your rail with screws or brackets,. If you have any questions about this product by HOME DEK DEKOR, contact us by completing and submitting the form below. If you are looking for a specif part number, please include it with your message. 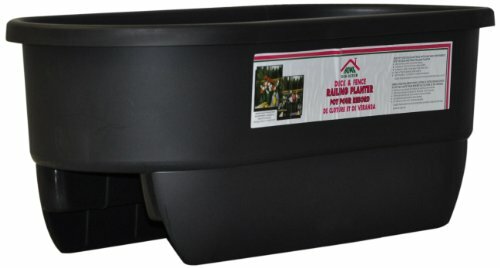 Adjustable Self-Watering Railing Planter, 24"